The 2019 Black History Month Collection celebrates the rich history and traditions of the continent of Africa through Nike Basketball’s signature player silhouettes. Dressed in a Pure Platinum and Metallic Gold color scheme. 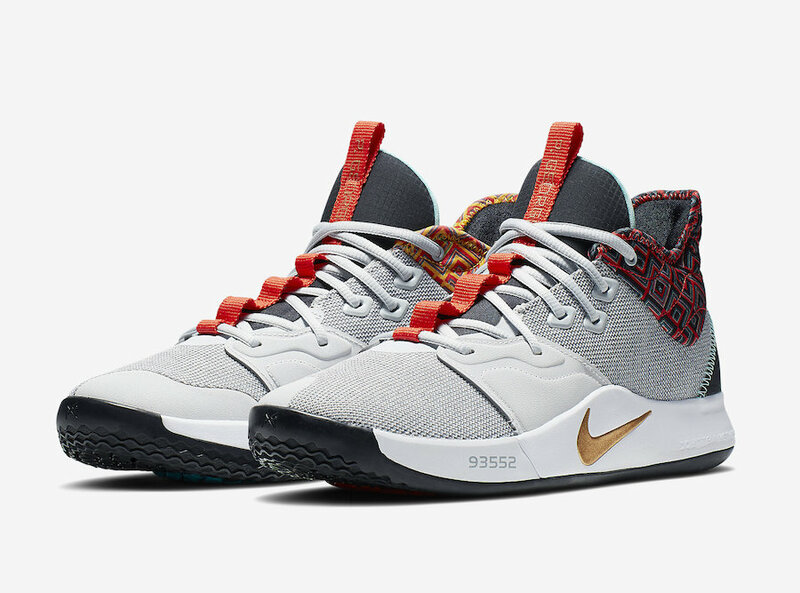 This Nike PG 3 honors the culture of the Congo with a colorful woven pattern around the ankle and Gold Swoosh at the heel. Look for the Nike PG 3 “BHM” to release on February 1st at select Nike Basketball retailers and Nike.com. The retail price tag is set at $110 USD.